Rohan is a serial entrepreneur with an illustrious career that span across a decade. He has an expertise in financial analysis, business strategy, mergers & acquisitions. He has an MBA and started his career as a business risk analyst. His first stint at entrepreneurship came in the form of Rosh capital advisory. It was established to partner with young entrepreneurs and businesses in their desire to succeed and grow. As a Company, they provide seed capital in startups or early stage companies. 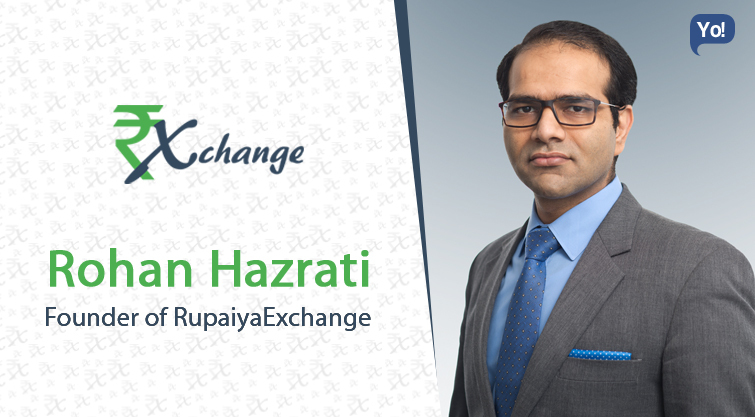 However, he came to the limelight with his latest startup, RupaiyaExchange. It is a virtual marketplace for peer-to-peer lending which gives access to a pool of consumer loans. It facilitates an Alternative Finance Option and allows people to invest in each other in a way that is beneficial to both the lender and borrower. We are a peer-to-peer lending platform. We have an aim to effectively cater to two sets of the population. Firstly, there is a large percentage of population untouched by traditional financial institutions or are served only by the ‘unorganized’ sector – these are people with the good profile but do not fall meet the filtering criteria of financial institutions leaving them struggling to raise money or raise it at exorbitant rates. The other set is that of investors looking for fixed and monthly inflation beating returns, which are not offered by traditional financial assets or instruments. If we look around everyone talks about increasing financial inclusion. We thought – why not work on this rather than just talk about it! Like any startup the most important factor is to get a core team in place – that was one of the initial challenges faced (at the idea stage). The other was (and continues) to build trust on the platform – since it is a new concept and relatively unheard of. We are a bootstrapped company and our parent has funded us till date. As mentioned above transparency has been the single most important factor. The other important aspect is to keep all involved in the decisions (big or small) taken by the company. Keeping a To Do list. In addition, we have a morning and evening meeting (every day) with key team members where we discuss all key metrics – this ensures real time results review and planning of any actions around these. While smart work is important – I give equal weight-age to hard work. Taking one’s work or task assigned to him/ her lightly. You are not aware of how important your contribution can be in the overall bigger picture. I have mostly traveled for work all these years. Goa is one destination that has attracted me the most. I would like to see UK and Germany again, this time as a tourist, though!